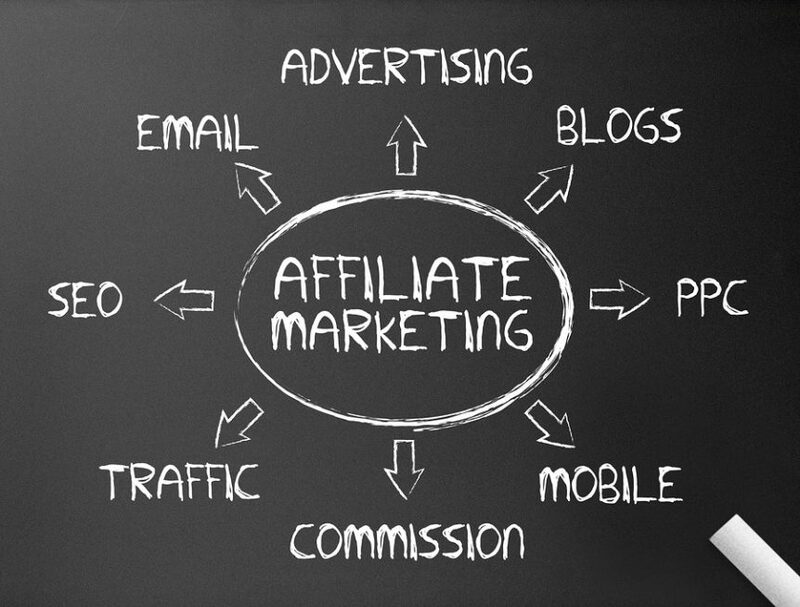 Referring back to my post detailing what exactly affiliate marketing is, affiliates have to be able to sell things. An affiliate that can’t make sales is the same as a stockbroker who can’t close deals, useless. In order to make sales, marketers must get traffic, or users, to the product they’re trying to sell, and convince them to purchase it. In this post, I’ll be giving summaries of the most popular traffic types for affiliates, separated into free and paid categories. Traffic generated through search engines like Google or Bing (but really, who the hell uses Bing) is extremely targeted, making it some of the most valuable traffic on the market. Example: You have a website dogtoys.com that sells dog toys, or in our case, promotes someone else’s dog toy business through an affiliate link. You populate your site with content relevant to dog toys and dogs in general, which in turn gets Google to index your website and make it appear when someone searches for “dog toys”. At first, your website was only appearing on the tenth page in the Google search, but after years of building your website you’re finally at the front page, and are getting a steady flow of targeted traffic to your site, making you money. Sounds great, right? Sort of. Search engine traffic, usually gained by doing SEO (Search Engine Optimization) on your website is very easy to convert to sales since the person was already searching for what you were selling. However, getting your site to the front page on Google for popular keywords is extremely tedious and time consuming, and your front page ranking can be wiped away in and instant if Google decides to make one small change to their search algorithms. Simply put, too much work for too little reward. Marketing your affiliate links through posting on Facebook, Twitter, Youtube and other social media sites can be effective if you already have a large following on your accounts, and they are targeted toward the offer you’re promoting. But, manually posting to accounts without manually followers is, like ranking your site in Google, a lot of work for minimal returns. Facebook fan pages and YouTube channels are an exception to the rule, because they can be built with little to no monetary investment, but they again take time that we just don’t have. I’ll touch on growing fan pages by paying for likes later. Incent traffic is simple, you are giving someone an incentive to complete an offer. Ever had to “take a quick survey” to access a free movie, song, or illegally cracked program? That’s incent traffic. Marketers will place what are called content lockers on websites that prevent access to a certain file or page until an offer is converted. Some websites will even pay you to fill out CPA offers, with is commonly referred to as “hard incent”. Incentivized traffic is generally something that you want to avoid, as only certain advertisers will allow it, and the quality is generally very low. Paid traffic is what we want to focus on. We are paying other people or companies for access to their traffic sources, so we save the time of having the cultivate the traffic ourselves. With more time at our disposal, we are able to test more offers across more traffic sources, giving us more data. Pay per click advertising is bar-none the most popular and effective traffic source for affiliates. In summary, your advertisement, usually a banner or some kind of image/text, is put up on a website, and you pay the website for every time your ad is clicked. Google, Facebook, Bing and a host of other networks utilize PPC advertising to sell their traffic. Cost Per Mille is a popular form of advertising on sites like Facebook Ads and PlentyOfFish. PPM ads are charged on a per impression basis (typically per 1,000 impressions, hence the name), meaning that you are paying for every time your ad is simply seen by a user. It’s up to you to attract the viewers to click your ad, there are no guarantees on how many clicks your ad will get. The benefit to this method of advertising is that if you have an ad, whether it be a banner or a line of text, that a has a high click thru rate (# of clicks / # of impressions), you can pay less than you would for the same traffic on a PPC basis. Ever get offered to download a toolbar, and then shortly after find that you’re getting popups for weird gambling sites when you’re just trying to watch a YouTube video? That is PPV traffic. Computers infected with adware, a program that forces these popups on its user, generate traffic for the people who own the software. The companies who create the adware, like Verti Tech Group, then either monetize the traffic internally or sell it to publishers. PPV is a literal step behind PPC, as you’re paying only for your website to be viewed unintentionally, rather than having someone purposefully click on your ads. Purchasing ad space directly from a webmaster can be a great way to generate targeted traffic, and if done properly, can be incredibly cheap. With media buying, you are purchasing a spot on someone’s website for a set amount of time for a flat rate. Example: Jack owns howtogetlaid.com, and I’m looking to promote a CPL adult dating offer. I go to Jack and offer him $500 to buy a 300×250 pixel banner advertisement that will sit on the right side of his website for 30 days. I am taking more risk than I would with PPC or PPV marketing, because there is no guarantee that anyone will click on my ad, but the potential upside is massive. If Jack gets 20,000 visitors to his site, and 20% of them click my advertisement, thats 4,000 clicks for only $500, or $.13 per click. That’s CHEAP. On the flip side, 1% of Jack’s traffic could click my ad, making my CPC $2.5, which is ridiculously expensive. Media buying is tricky, and should be reserved for more experienced marketers, as it’s too easy to blow through a budget since you are committed to traffic without seeing how it will necessarily perform. I put email under the paid category because while sending out an email doesn’t technically cost money (well it does, but not much), the money that needs to be invested into building an email list and purchasing mailing equipment can be astronomical. An email list is essentially a list of people who have consensually subscribed to your website, blog, or service and are open to receiving emails from you. Lists can take years to develop, and marketers often run entire campaigns simply trying to gain email subscribers. The actual emailing can be costly as well, with servers costing into the hundreds per month. Email marketing is one of the most lucrative traffic sources, despite all of the upfront costs. A single, well-planned and targeted email blast can net a marketer tens of thousands of dollars and, within reason, he can hit the list as many times as he wants. Like media buying, email should be reserved for more experienced publishers who have already had success with either PPC and know the basics of advertising metrics. If you’re a newbie, avoid it. Email is also one of the most complicated traffic sources when it comes to legality, as SPAM laws are constantly changing and they aren’t getting any better for marketers. Before participating in any kind of email marketing, get up to speed with your country’s laws to prevent a lawsuit that could wipe you out for good. Never, ever sent unsolicited emails. The juice is not worth the squeeze. Like there are offshoots of the basic affiliate marketing model, these traffic sources can be chopped and screwed in a myriad of ways. For a newbie however, time is best spent mastering how to create paid marketing campaigns, learning how to balance an ad spend, optimize and tweak ads to profitability, and in time building an email list. Just like there are a million different twists on the affiliate marketing model, there are similarly many twists on how to send traffic. For a beginner, this list is a good start, but as you make progress, you’ll find your own personalized ways to squeeze the most cash out of all of these traffic sources. If you want to see what I think is the best campaign for a newbie, check out this post here.